fridge bUzz: Poll: Who will win the Cup? Simple question. It comes down to game seven. Stanley Cup final. 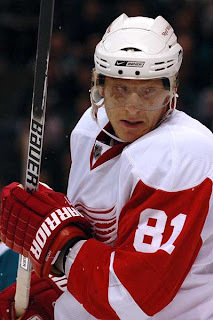 Will Marian Hossa be shut out again? Or will he lift the cup. Sixty minutes or more of hockey and we'll know who the kings of the ice are for 2009. Personally I'm going for the Red Wings. Love me some Franzen.